The move followed dramatic decreases in smoking rates for the city in recent years; the number of smokers has declined by 14.3% since 2015 and is down 21.5% since 2002. Despite these victories, de Blasio made it clear that anti-smoking efforts are among the city’s top priorities. Int. 1544 stipulates that the minimum price of cigarettes and little cigars be raised to $13 per pack from $10.50 and sets the first-ever price floor and tax for a variety of tobacco products. Lawmakers estimate that the bill will lead to a 6.4% decrease in adult cigarette smoking and will generate $1 million annually that will be dedicated to public housing. Int. 1547 reduces the number of stores that can sell tobacco products by capping the number of tobacco retail dealer licenses to 50% of the previous allowance. Lawmakers say that no new licenses will be issued in communities until they have decreased to fit the new standard. The bill also updates retail licenses for selling cigarettes to include all types of tobacco. Int. 1532 requires e-cigarette retailers to have a license to sell their products and caps the number of licenses that can be distributed to 50% of their previous allowance. The bill also prohibits pharmacies from selling e-cigarette products. Int. 1471 increases the biennial fee for obtaining a new tobacco retail dealer license, which includes all types of tobacco sales, to $200 from its previous cost of $110. Int. 1585 requires owners of residential buildings to create a policy on smoking and to disclose it to all current and prospective residents. The bill would apply to all residential buildings with three or more units and extends to rentals, condominiums, and cooperatives. Owners will also be required to prominently post the building’s policy on an annual basis and any time the policy changes. Int. 484 prohibits smoking or the use of any e-cigarette products in common areas in residential buildings with three units or more. 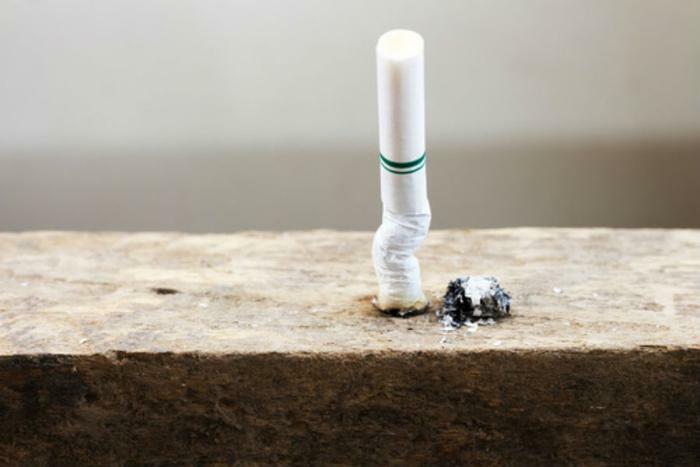 The bill expands on previous laws which prohibited smoking in residential buildings with 10 units or more. Int. 1131 bans pharmacies, or retail stores that contain pharmacies, from selling tobacco products. Lawmakers say this prohibition would go into effect after current licenses expire in 2018. Critics of the price increases and new regulations say that the new measures will lead many smokers to start buying untaxed and unregulated cigarettes on the black market, according to the Washington Post. “There should be concern that this ordinance will most likely only further exacerbate the illicit trade of cigarettes in New York City, which already has the highest percentage of contraband cigarettes in the country,” said spokeswoman Brittany Adams of RAI Services Company. “These measures will destroy the business investment of retailers who have been leading the effort to prevent youth access to tobacco products, and the result will be lost revenue, lost jobs and an increasing number of sales in unregulated and illegal settings,” added Jim Calvin, president of the New York Association of Convenience Stores. However, regulators and health advocates applauded the sweeping legislation as a decisive move in the interest of public health.